Jim Schirmer is an Associate Lecturer in the Master of Counselling Program, and has taught into that program in a variety of roles since 2012. He holds a BA (Philosophy & Ethics), BTh and MCouns, and is currently undertaking Higher Degree Research studies. 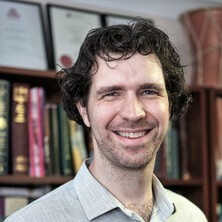 His research focus is on the training and development of counsellors, particularly in area of personal characteristics and virtues that contribute to excellence in practice. He brings 15 years’ experience in the human services field, including numerous practitioner-research projects resulting in the development of community resources and training.